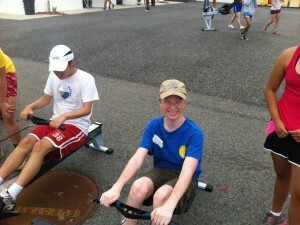 Justin at his first Athletes Without Limits “Learn to Row Day” in 2012. Justin came to an Athletes Without Limits “Learn to Row Day” with his Arlington County Schools special education class in 2012. He was very excited and enthusiastic about rowing. He asked a million questions about the boats, the ergs, equipment and technique. First and foremost was “when do I get to row my own boat on the water? 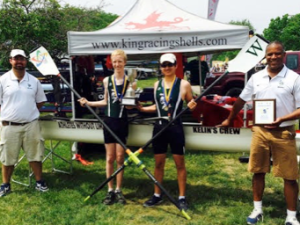 !” The Athletes Without Limits (AWL) integrated rowing program made it possible for Justin to pursue that dream and much more. This spring Justin earned a spot on his Wake-field High School rowing team by beating out other students. 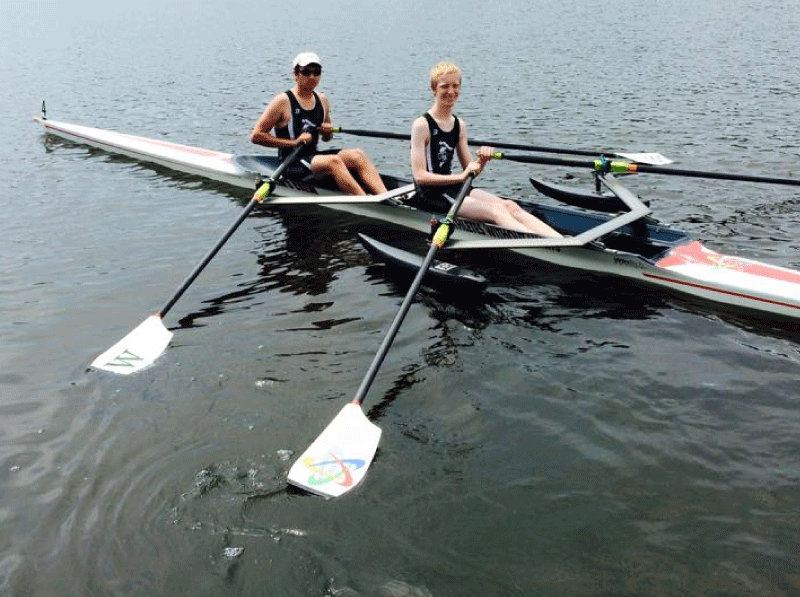 He represented his school and AWL at the Stotesbury Regatta — one of the premier high school regattas in the country — where he and his teammate Jacobi, won the adaptive race. 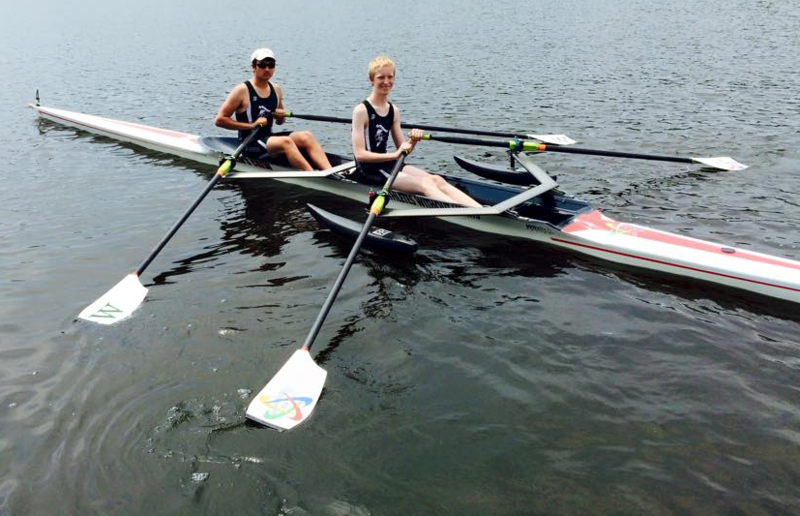 Justin and his partner win the adaptive class at the 2015 Stokesbury High School Regatta. Pictured with coaches and Patrick Johnson.